Has worked within the estate agency and financial services industry for 28 years, working for major insurance companies and banks, including Friends Provident, Legal and General, Natwest Bank and Alliance and Leicester. 19 years ago he decided to start his own business. "I have never looked back. I pride myself on customer service. It's what makes ones business stand out in a very competitive market". As the only managing director, David's role has been to grow Astons Estates to become the number one agent for Newport Pagnell and the surrounding area. Being a totally independent estate agent with low overheads, we pass the saving onto our customers with lower than normal fees. David's goal has been to make Astons the No 1 agent in Newport Pagnell, Milton Keynes and surrounding villages. This has been achieved in Newport Pagnell, We are now working on our second area Milton Keynes...David says " he is excited about the business and opening up the new area Milton Keynes, We want to replicate what we do in Newport Pagnell all over Milton Keynes". When choosing a mortgage company David decided to use the Multi award winning Mortgage Advice Bureau. 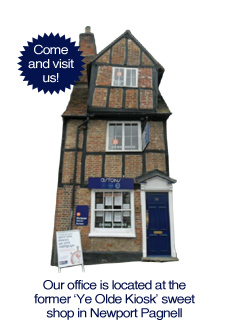 We have to highly qualified brokers based out of our offices in Newport Pagnell. Gary, Joined Astons as a Property Advisor about 3 years ago, he was born and raised in Milton Keynes and now lives in Newport Pagnell with his wife and young daughter. Before joining Astons Estates in July 2013, Gary worked in sales for approximately 10 years, mostly in golf sales, playing professional golf in 2007. He decided that estate agency was more his game. Gary finds estate agency fun and an exciting challenge. Gary was promoted quickly and in April 2015 became the new Office Manager. His goal is to keep Astons as the number agent in Newport Pagnell and grow the business in Milton Keynes. Jemma has worked in the property industry for the past 10 years starting out with sales and mortgage administration then working her way up to run a team of administrators. Following the recession she turned her skills to property rentals. Jemma joined Astons in November 2014 to manage the letting's and after sales to see property sales and purchases through to completion. Although demanding the job is rewarding, she takes pride in seeing Astons go from strength to strength and standing out from the crowd of other agents. Ian has worked as a mortgage broker for 25 years and Kerri for 10 years. Both work from our offices in Newport Pagnell. Mortgage Advice Bureau is an award-winning mortgage broker, with over 750 advisers across the UK, arranging approximately £10 billion worth of mortgages per annum. We are an independent mortgage broker that has access to over 80 UK lenders. The relationships we have with them, combined with the volume of mortgages that we arrange, put Mortgage Advice Bureau in a very strong position to ensure that you have access to the latest deals available and receive a first-class service. Mortgage Advice Bureau has won over 50 awards in the last 5 years alone so we can assure you that you are in safe hands. We have approximately 750 expert advisers located across the UK. Our forward thinking and innovative approach to business has been recognised by the British Mortgage Awards who awarded us as Best Mortgage Broker in 2011,2012 and 2013. We also received the Best Mortgage Adviser award at the Money Marketing awards in 2012, 2013 and 2014 and Best Broker for Protection at the 2014 Mortgage Strategy awards. In addition, we have been awarded other prestigious awards such as Best National Adviser and Best Broker Website as voted for by 'What Mortgage', and Residential Mortgage of the Year as voted for by 'The Negotiator' magazine in 2011, 2012 and 2013. In total we have won over 50 awards in the last five years alone. We are absolutely delighted with this as it shows our on-going dedication and commitment to delivering an excellent service to our mortgage brokers and customers. To contact us please call Astons Estates on 01908 616636 or email us on info@astons-estates.co.uk.